The E reminds me of the Eeles family mark. Possibly an early piece by Benjamin Eeles (I say 'early' because that's not his current mark). I posted this recently. Same marks. 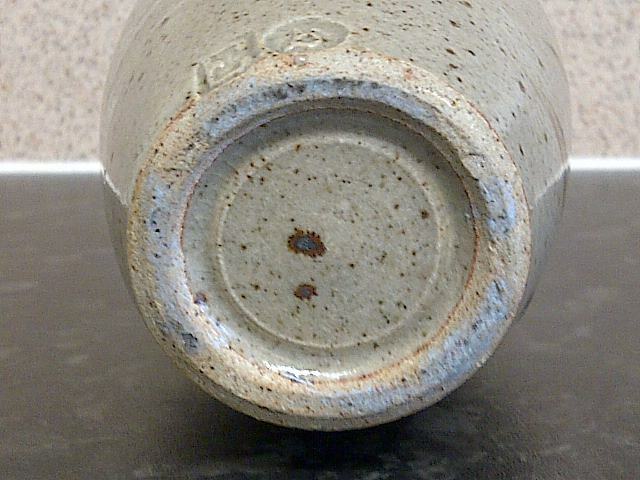 Stoneware vase with 2 marks. 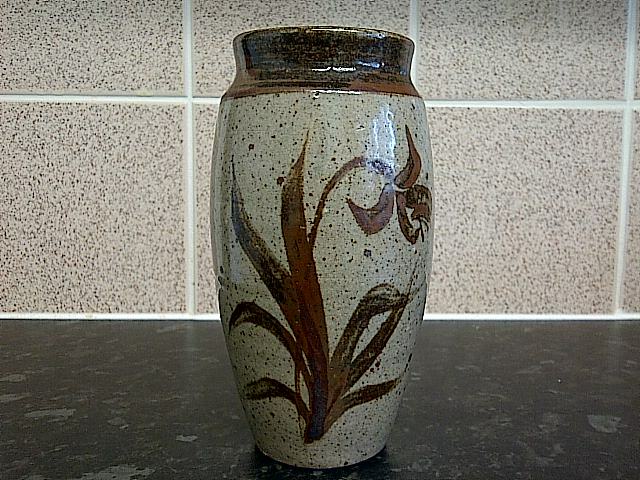 Not sure where to start with this 7 inch vase. Second mark looks like b with a dot. The photos are of a teapot I recently purchased. I've found a very similar teapot in an archive for sale on ebay which attributes the pot to Paul Barron. 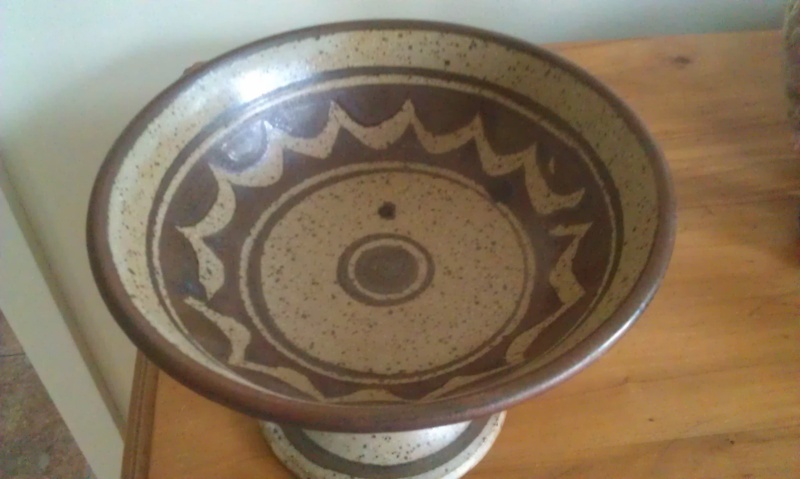 I have also seen a picture online of a dish attributed to Paul Barron with an identical mark. 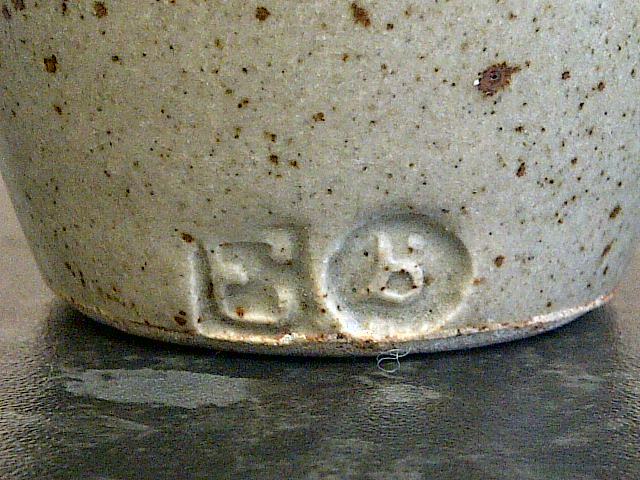 However, I don't believe this teapot is by Barron - can anyone please shed any light? 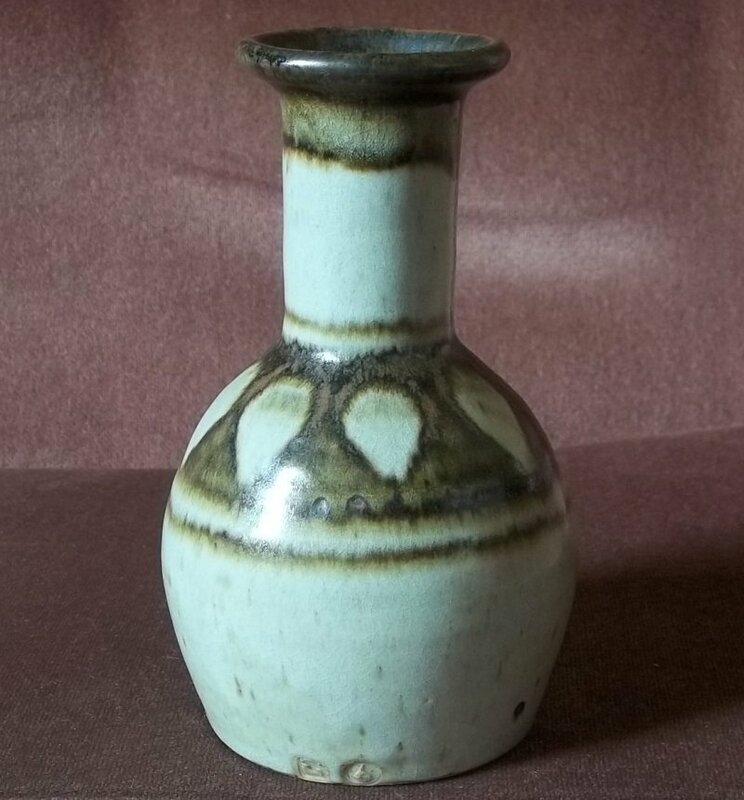 I saw it on ebay and thought it had a good chance of being by Paul Barron, was tempted to bid but the damage put me off. SP will likely know for sure. I wouldn't think it was by Paul Barron, as I am not aware of him using a dot before the B of his mark. Besides that I can't think of any reason to add the dot after using a B only. Barron's B seal is also quite small when compared to your average seal and I think this looks average size. Can't suggest who it might be. The dot might not be part of the mark. Just a bit of lumpy glaze. NaomiM wrote: The dot might not be part of the mark. Just a bit of lumpy glaze. I think that is unlikely and the overlapping of the vertical by the top and the bottom round parts of the B are not like Barron's mark. I think we're going to have to agree to disagree over the dot, SP. The shape and position don't look right for a dot. Thanks for your help so far. The URL above takes you to the ebay-archived dish also attributed to Paul Barron. As you'll see it has an identical mark to my teapot (with dot). 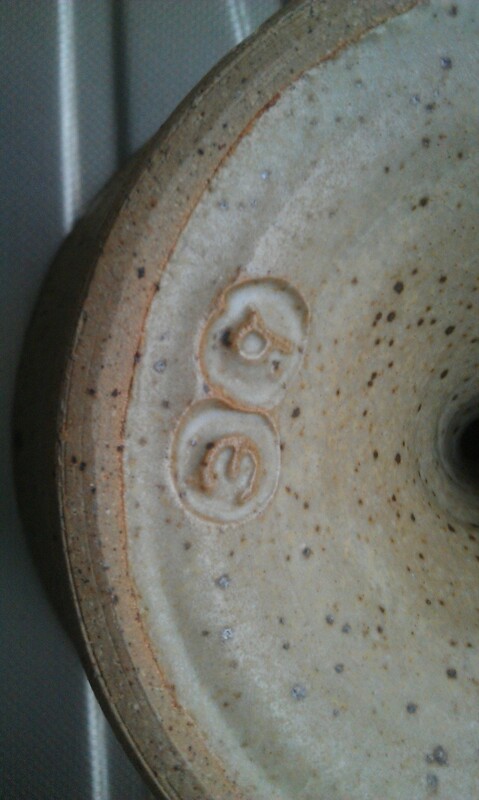 I can't seem to find any contact details for the Branscombe Pottery but their B looks subtely different (without a dot)? Sorry, I was on a work computer system which is quite restrictive. The URL doesn't work because I had to put spaces between the www as the forum won't allow me to post a link within the first week. I agree that the worthpoint/eBay attribution is no guarantee, I just thought it was interesting that a totally different item with an identical mark had also been attributed to Barron? I'll upload the photos properly when I get home tonight. 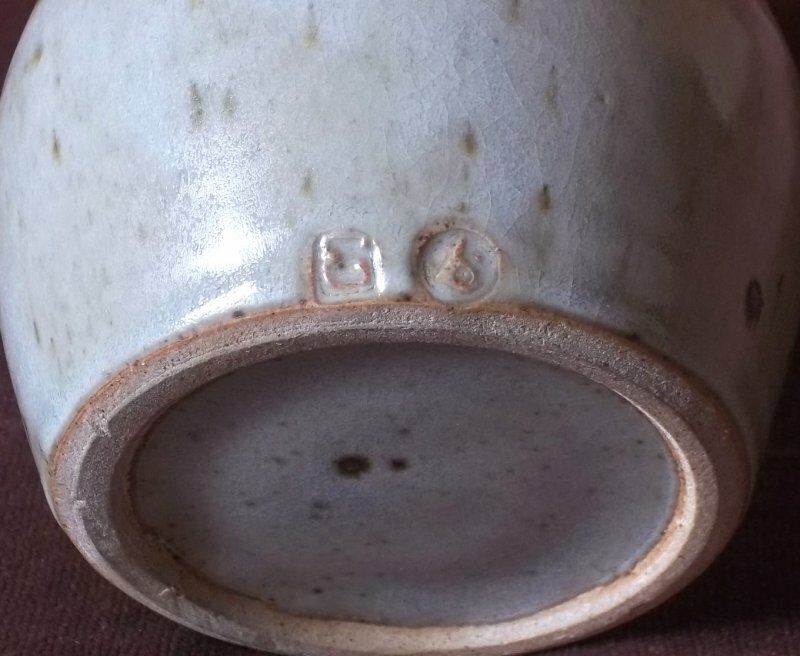 Worthpoint had a slipware charger attributed to Paul Barron with the same dot beside the B. I've asked other collectors with Barron pots and they don't think it's his mark, and the dot seems to be an artifact on the stamp. 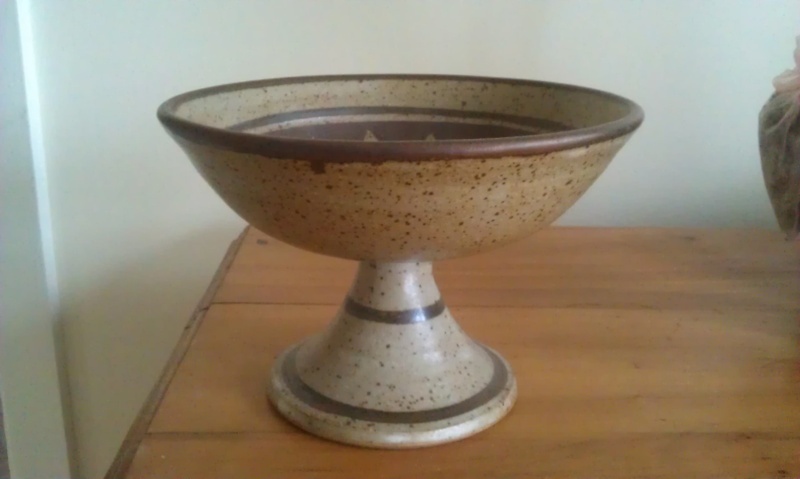 I think Paul Wilson's Branscombe Pottery is more likely.